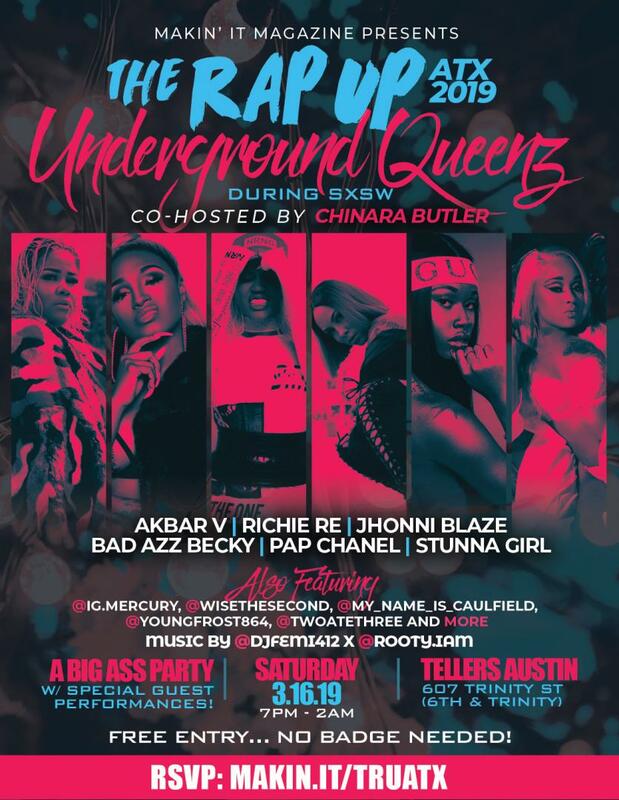 After you're all showcased out... come to #TheRapUpATX Undergound Queenz edition Co-Hosted by @chinarabutler! Special performances from @IAmRichieRe, @Akbar__V, @IAmBadAzzBecky, @_StunnaGirl_, and MORE! !